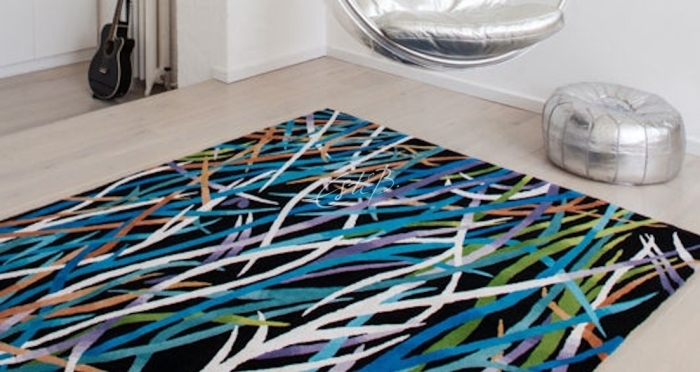 As our interior designer clients will testify, rug shopping can be fraught with pitfalls. For a design to work well in its assigned setting it must be the right colour, size, shape and texture, and it also needs to be made from the right materials. Finding an off-the-shelf design that meets all of these criteria can be almost impossible. Luckily, TOPFLOOR is at hand to help. 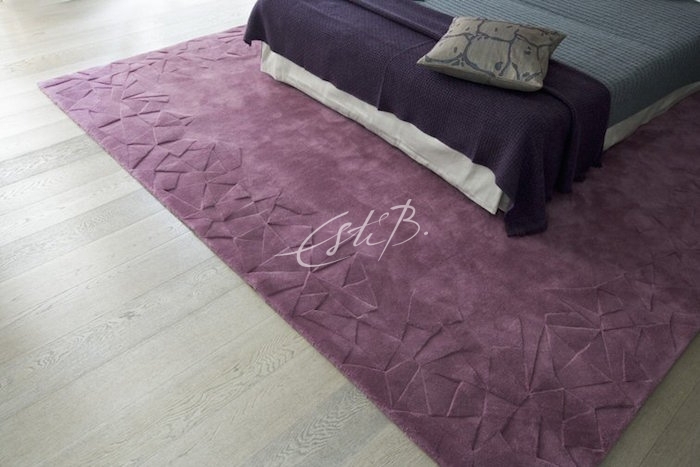 There’s no ‘take it or leave it’ policy with our rugs – any design can be tweaked and adjusted to fit the requirements of any space. 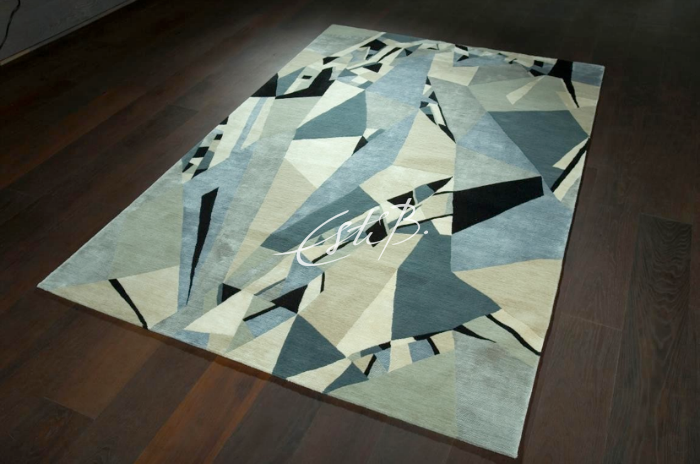 Many of our rugs were originally designed with specific rooms in mind, or lend themselves to certain environments. The architectural style of our award-winning ESQUIRE and ESQUIRE EVOLUTION designs, for example, is hugely popular in contemporary living rooms, where the hand-carved surface can take centre stage. While the colourful grasses of ECOSSE are often chosen for garden rooms or spaces that overlook garden areas. 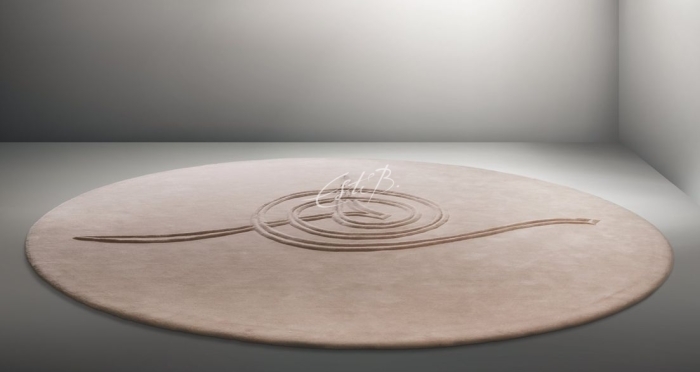 Designs such as ENVELOPE AND ECLAT, meanwhile, are frequently used in dining rooms and bedrooms because the detail is around the outside of the rug, acting as a ‘frame’ for a centrally positioned table or bed. However, it is important to stress that there are no rules with bespoke design! 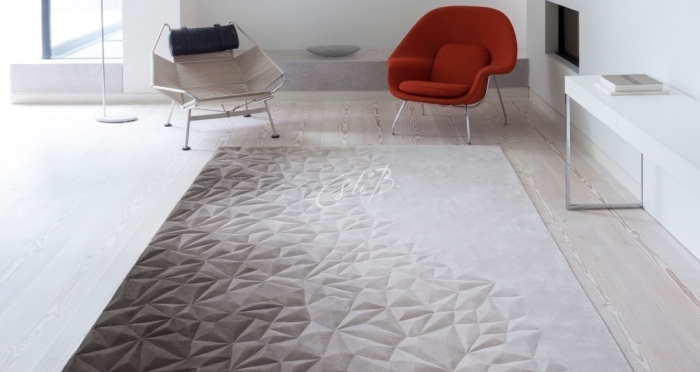 We recognise that every project is unique and we are delighted to collaborate closely with our clients to customise our designs – this could involve changing the colour scheme, reconfiguring the pattern, choosing different fibres, resizing the rug or adjusting the pile height. Almost anything is possible. One of the joys of our bespoke service is that our clients end up with a piece that is tailor made for its setting. 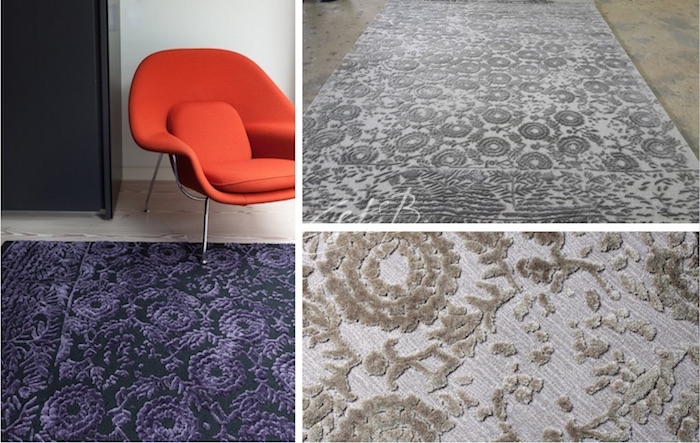 The rugs in our studio are a wonderful source of visual inspiration for our clients, but there’s no need to rule out a design simply because the colours don’t match your scheme. 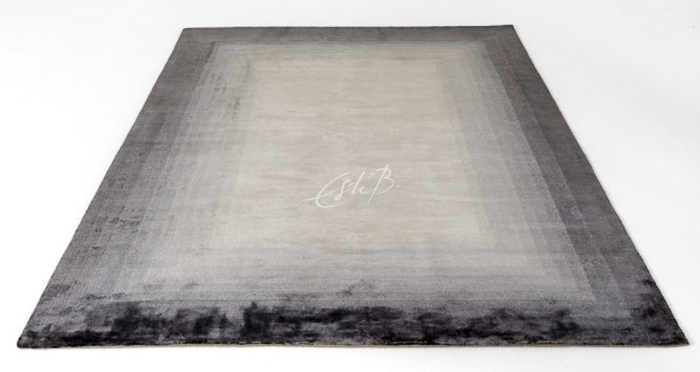 The original EMERALD, for example, is a bold mix of blues, but if you are looking for a more muted vibe we can select an alternative palette that will give the rug a very different feel. Similarly, we first created HASBAHCE in a rich purple hue, but have also made it in understated neutral shades. We are always happy to advise clients on colour-matching rugs with existing interiors; we can provide computer drawings and samples in your selected colours to help you (and your client) visualise the new version. We can also work with an existing pattern to create ‘variations on a theme’. 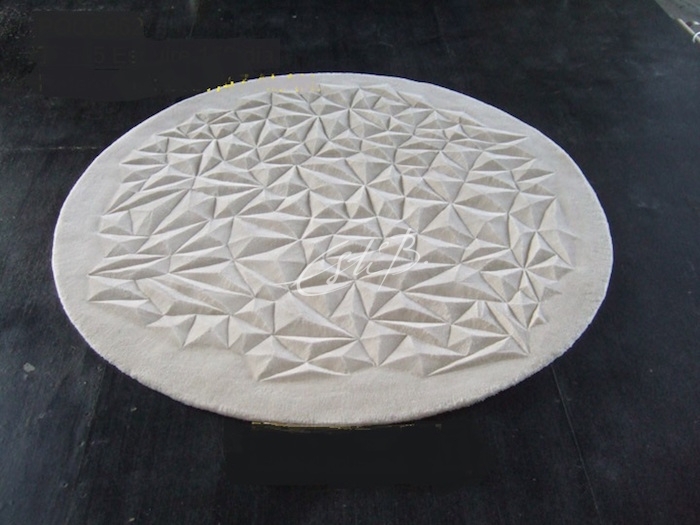 On a recent project our client chose EMPRISE, with its central diamond-shaped detail, for the living room. In the interconnecting dining room we installed a new version of the same rug, with the diamond motif reimagined as a border. 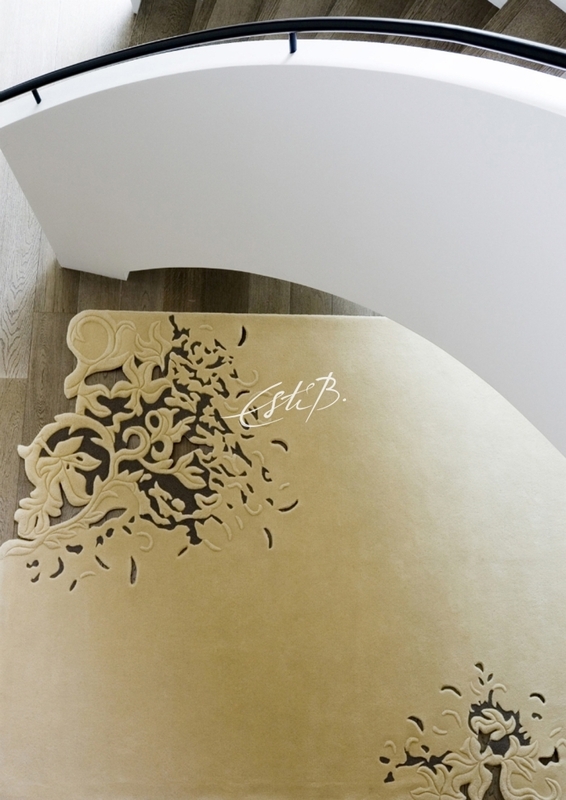 This created a strong visual link between the two rooms, but each rug also worked independently in its own space. 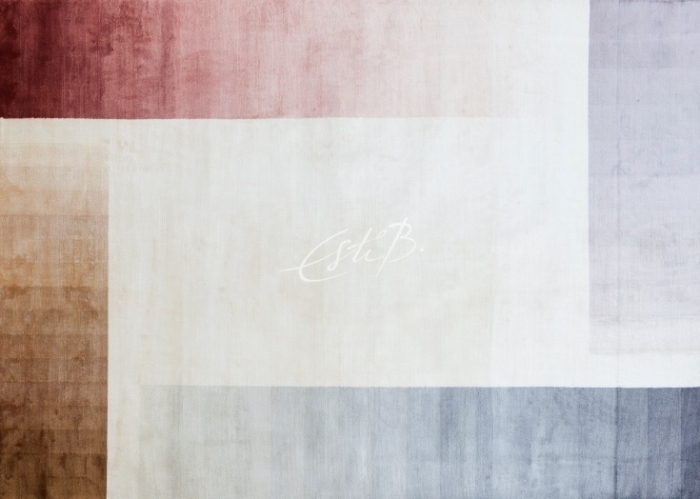 You might love the three-dimensional surface of ESQUIRE, but it would be a waste to use it in a bedroom or dining room, where its complex texture is likely to be covered up with furniture. Instead, we can create a version that limits the surface carving to the border, leaving the centre plain. This is, in fact, how EVEREST, the sister rug to ESQUIRE, was born. Another consideration is the fibres from which your rug will be made. 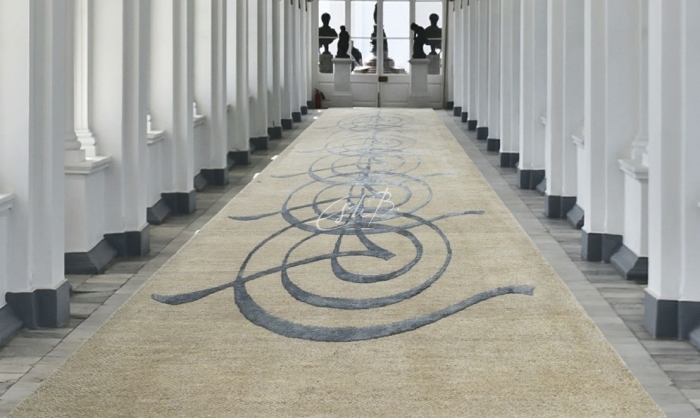 A design in artsilk or linen would not be the best option for a hallway or garden room, for example, where traffic is likely to be heavy and wet soles a potential issue. Don’t dismiss these designs out of hand, though – come and talk to us! We can discuss the possibility of making them in wool instead – it’s a highly resilient, easy-to-clean fibre that would be a more practical choice for this scenario. As you look through the extensive archive at TOPFLOOR’s Chelsea Harbour studio, always bear in mind that this flexible, personalised approach applies to every one of our designs. No matter how complicated or unique your brief, we are confident that together we will be able to come up with a design that is perfect for the space and reflects the personality and tastes of your client. To discuss your commission with us, contact us here – we’d love to hear from you.